Our Leadership Forum is fast approaching and we invite you to save the date early for this important event! 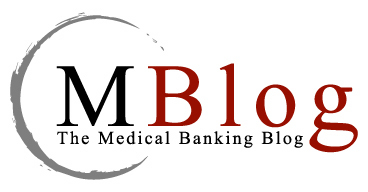 On October 6-7, 2010, our traditional Medical Banking Leadership Forum is changing format somewhat…all attendees will be placed into a stakeholder category and become part of our first G7 Roundtable. Stakeholder categories include: providers, banks, plans, consumers, government, technology firms and employers. This is a one-of-a-kind event to discuss a pressing issue – real time adjudication – and to provide your critical feedback into a national process that we have planned. (3) health care reform – administrative aspects. Note that the New York Times ran an article on this topic last Sunday – “See You In 6 Months. And The Insurer is OK With Your Bill” - http://www.nytimes.com/2010/06/27/business/27digi.html?src=busln. John Casillas responded to the column and received a response back so they are aware of our work and we’ll be updating them on further developments. The nation’s first G7 Roundtable will be held at the Vanderbilt Center for Better Health in Nashville, Tennessee. We are working with our sponsors and Vanderbilt University to organize a press event just prior to the G7 after which all press will be asked to leave so we can get down to business! Thank you for saving October 6-7, 2010 on your calendars for our [email protected] MBP Leadership Forum more information to come! ED: This is not a HIMSS Medical Banking Project event but its goals re: transparency run parallel so I'm posting the announcement here. A distinguished group of industry experts from around the globe will lecture on the benefits and advancements of semantic technologies in the financial sector. Los Angeles, CA (PRWEB) April 26, 2010 — The SemTech 2010 Conference has dedicated an entire track to focus on semantics in financial services. This track is scheduled for Wednesday, June 23 and will provide an overview of the many ways semantic technologies are being used in the financial industry today, from a 360-degree view of the customer, to meeting stringent reporting requirements, and from fraud detection to risk analysis and credit monitoring. An example is the recently agreed Semantics Repository, from the Enterprise Data Management Council. This is solving real data integration problems within the securities industry, and helping to grapple with the complex information requirements of the global regulatory framework to control systemic risk in the financial markets. Searching Semantic XBRL: XBRL is the new language for financial reporting, yet text-based search engines like Google are not capable of searching XBRL documents effectively. With so much financial regulatory attention focused on the potential benefits of XBRL, speaker Ashu Bhatnagar of GoodMorningResearch.com will show how Semantic Web technologies are key to searching XBRL documents to find what the regulators need. Also on the theme of risk management, Drew Warren of Recognos will discuss how semantics can be used to integrate diverse data and then identify correlations and relationships between data points. This enables advanced applications for Counterparty Risk and Exposure, a key problem that caused the world financial crisis. The World Bank will discuss the use of semantic technologies within its Enterprise Information Architecture for integration of information across the Banks’ multiple repositories and the unification of structured and unstructured information. Denisa Popescu of World Bank Group will further explain their implementation of automated metadata capture using semantics. From the commercial banking perspective, David S. Newman of Wells Fargo will discuss a range of opportunities and challenges for semantics for requirements including consolidating account information, better financial reporting, and feeding data to business intelligence tools. The Data Projection Model: Based on semantic technologies, the data projection model is like “double entry bookkeeping” for information management. This is used currently within a semantic application at the Internal Revenue Service and this will be the first time it has been discussed in an open forum. SemTech is the preferred industry platform for exhibitors to announce product launches, publishing deals, and breaking news. Attendees will have the opportunity to view products and services from top industry developers. Current sponsors include: Ontotext, Oracle, Revelytix, Inc., Cambridge Semantics Inc., Atigeo, Franz Inc, TopQuadrant, Zepheira, Raytheon BBN, Saltlux, IBM/Ontoprise, IntelliDimension, Talis, Thomson Reuters (Calais), Semantifi, True Knowledge, Clark & Parsia LLC, and Orbis. To become a sponsor or exhibitor please contact Steve Bastasini at [email protected] or (415) 740-5528. SemTech is the world’s largest conference on semantic technologies. It is the only event focused on the commercialization of semantic technologies, bringing the most recognized names, knowledge, leadership, and innovation in the semantic community together at one location. SemTech is owned and operated by Semantic Universe–the semantic community’s trusted information resource. Semantic Universe is a joint venture between Wilshire Conferences and Semantic Arts. For more information please visit, SemanticUniverse.com, email [email protected], or call (310) 337-2616. Since the outburst of the crisis and its resurgence these days, politics, journalists and people in general request that there be more regulation of the financial industry. Without taking a stand on whether it should or should not be the case, I am convinced that standardisation of communication and identification protocols has a major role to play in helping the financial industry regain some of its lost credibility. The use of communication standards such as ISO 20022 or identification standards such as ISO 9362 Business Identifier Code (BIC) or ISO 10383 Market Identifier Code (MIC) increases the transparency of data. The adoption of these ISO standards for all financial communication would enable the transport of standardised data in compliance with standardised processes not subject to interpretation nor manipulation by the bad guys of the industry. It would enable the creation of international or local reporting facilities usable by any regulators and allow market data to be exchanged in an efficient way among them. The current use of proprietary standards is inefficient and costly. Martin Sexton, Director of IT at London Market Systems Ltd, once advocated in a mondovisone article regarding MiFID : “Realistically, the only way to ensure that one has achieved this [provide evidence that they have achieved 'best execution' for their clients] and met the directives requirement of market transparency is by the use of industry standards.” I cannot agree more. This is true for any need for transparency. There is no doubt in my mind that if the whole industry was (forced?) to adopt ISO standards, the industry would save hundreds of millions of EUR or USD (same thing, nowadays, no?) in recurring maintenance costs of messaging and integration platforms and equivalence tables for static data. And you can add a few hundred millions spent on losses due to bad quality non-standard data, on staffing used for manual repair or rekeying of transactions, on implementation and testing (and maintenance) of proprietary standards to connect to “international standards disabled” market infrastructures. You just need to have worked a few years in operations or discussed with implementers to realise it. Lillian Tham, Chief Operating Officer at Schroders was saying exactly that at a recent SWIFT event: “The only way to decrease our fixed cost infrastructure is to standardise internally and externally.” ISO 20022 is the response to this. The issue is that those costs are spread across many years and are invisible to short term focused shareholders. They only see the cost of implementing the standards, though a fraction of the profit of most financial institutions last year (a difficult year, it was). And this cost perception issue is not an easy one to overcome these days. Following the adoption of ISO 15022 by global custodians and ICSDs in the dawning of the 21st century, all were able to focus on what is essential; the quality and diversity of the services they offer. It has also became easier for customers to switch from one provider to another. It did remove some of the stickiness of the services some custodians were offering but if they did indeed lose clients, they also won clients. You will find nobody in the global custody business to say that their adoption of ISO standards was a mistake. If it worked for the global custodians, why wouldn’t it work for the whole financial industry, CSDs, CCPs, trading venues, etc? ISO standards will bring their full potential only if implemented by most or all of the Industry. In some cases, partial implementation can sometimes be more costly than no implementation at all. Alistaire Milne, Senior Lecturer in Banking and Finance (Cass Business School), starts his paper on Standards and competition in post-trade securities processing by: “Standard setting in securities settlement is not just about lowering processing costs and improving cross-border interoperability, it is also a central determinant of competition in central counterparty clearing, in securities settlement, and in associated services, such as securities custody and the management of securities transactions.” I cannot agree more. For those who would argue that ISO standards are not flexible enough to enable innovation and therefore competition based on better and new services, I would reply that it has been too long since they have looked at an ISO standards. ISO standards, nowadays, have built-in extension mechanism and other features to enable the necessary innovation and competition to take place without jeopardising the need for transparent and standardised financial communication. Most ISO identification standards such as MIC or BIC are updated on a monthly basis, some faster. Once you have spent some time and money on optimising processes through standardisation, you have the tool box you need for a longstanding, robust recovery and for growth. You have tools to prevent such a crisis through an effective and fair control of the industry. You have the tools to enable investment in markets that standards finally made accessible in a cost effective way. You have all your need for a financial industry at the service of the economy (its historical role). You can quote me on that one. In another life, I was in the door-to-door selling business. You know what? I kind of liked it (for a short while…) because I believed in the product I was selling. It is the same for ISO standards. The last 10 years, I have been market-to-market selling ISO 15022, ISO 20022 and others. I like it because I am convinced that the standardisation of the financial industry is the key to many of the issues to which it is confronted. It is not for nothing that so many international or local players such as Target 2, Target 2 for Securities, Jasdec, DTCC, Euroclear, Clearstream, Strate... decided to speak ISO. Global custodians, I have already mentioned, do not need any more convincing. It is not for nothing that most banks use ISO 9162 BIC as a way to identify themselves globally, that internet uses ISO 3166 for identifying countries, that treasurers use ISO 4217 for identifying currency codes, etc. It is because it brings value, efficiency and cost reduction. So whenever someone proposes to you a communication or identification protocol, if it is not ISO, say you are not interested and have them call us. Anne Zieger passed this along.